This is a very common intervention in movement coaching (whether the practitioner knows it or not). 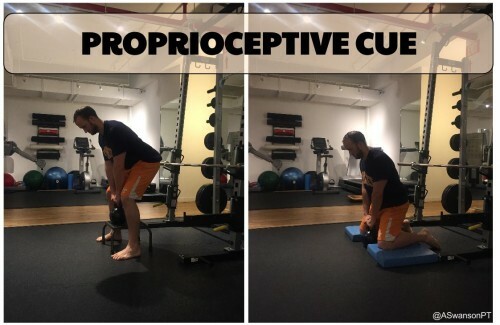 Simply changing an exercise to achieve the same goal is essentially a proprioceptive cue. 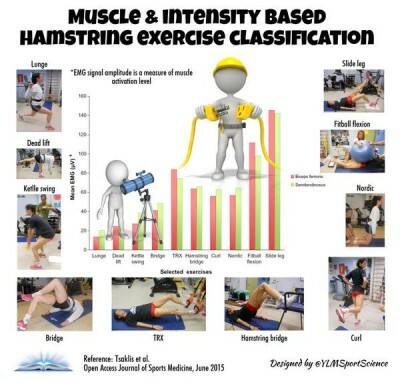 Changing from a clamshell to a fire-hydrant can be a proprioceptive cue by altering the ascending sensory information during an isolated transverse plane glute strengthening exercise. There are plenty of resources out there on this aspect of coaching, so I’ll keep this section of the post brief. As mentioned in the previous posts, the top-down cortical aspect of movement will have profound effects on body awareness and thus proprioception. Since these topics were already discussed, this post will focus on the novel “bottom-up” proprioceptive sensory changes. Sometimes the best cue is to shut your mouth and change the physical environment. Proprioceptive cues come down to the simple concept that changing the body’s input will lead to a change in movement output. It’s common sense. The better the information, the better the resulting decisions. Here are some (of many) easy ways to create a proprioceptive sensory change through the environment. Motor chunking is when a movement is broken down into segmental pieces and slowly put together as a whole. Motor chunking “is thought to be necessary for overcoming the limited number of items humans can consciously hold at any given time within working memory”. While this could easily be apart of the internal cues section, I’m going to include it in this post because it can allow for easier proprioceptive processing and the assimilation of complex movements. In movement coaching, it is common to see someone have a difficult time with a certain exercise. However, it’s not a problem from a tissue load capacity perspective, it’s a problem from a cognitive perspective. Some people just can’t put all the proprioceptive pieces together to complete the whole movement. This is where “chunking” the movement into smaller proprioceptive pieces can allow for the individual to understand the whole movement better. For example, coaching the reachback requires proper thoracic centration with eccentric upper extremity control (Chunk B). First you need to coach them to fully exhale (Chunk #1). Then coach them to exhale and keep their ribs down with their obliques (Chunk #2). Then have them practice both those movement together (becomes Chunk A). Once they have this, you work on the eccentric reach back part of the movement (Chunk #3). Then you put it all together for a nice clean, compensation-free reachback (Chunk A + Chunk #3 = Chunk B). How many chunks you need and how much time it takes depends on the patient. Athletes can usually handle larger chunks over shorter amounts of time, where as my sedentary patients require more attention focus on the basics and more time to master the movement. This is a very user friendly system that provides a step by step approach to progress (or regress) movement to achieve the desired output. It uses the developmental progression with a graded exposure to load, gravity, and degrees of freedom. This is great for everyone from your chronic pain patient to your elite athlete (who often have holes in regressed postures). To keep with the theme of this series, here’s a deadlift proprioceptive cue example. If some has difficulty keeping their ankles in neutral and preventing anterior translation of the tibia requires a lot of real estate in the brain, then there’s no way the patient will be able to focus on their hips/low back dissociation. So you can alter the proprioceptive input by regressing the posture and putting the person on their knees. 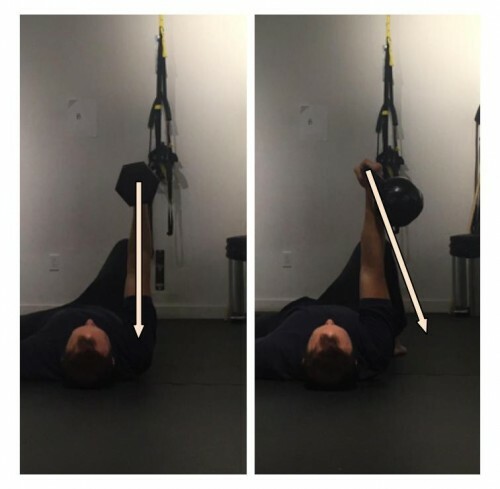 This alters the sensory input and allows for more brain real estate to focus on the proprioceptive input from the hips/low back instead of having to deal with all the input from below the knee. Or in SFMA terms, this takes it from 4/4 to 3/4. Regressing the posture is another way to alter the afferent proprioceptive input. Simply providing more sensory information to a specific area via tape or tactile cueing can improve the cortex’s ability to process it. It’s like adding cutaneous mechanoreceptors to an area that may have a “smudged” homunculus. If you don’t have tape you can simply use your hands. For example, lightly touching someone’s spine during a quadruped exercise can help increase their sensation to that specific area, thus potentially improving the motor control. The feet have quite a lot of mechanoreceptors. They take up a lot of space in the homonculus. Thus, they provide a lot of information regarding proprioception and set the stage for the rest of the body. Changing shoes, orthotics, and/or ground surface can have a huge impact on proprioception. However, footwear is a very complex topic and requires in depth understanding to properly prescribe foot surface interfaces. The wrong advice could have serious consequences on movement mechanics. For more information regarding foot mechanics check out the Gait Guys website and biomechanics course. It’s common sense to lighten the resistance if someone can’t perform a movement without compensatory motion. However, I’ve also found it helpful to add resistance when patients are having a difficult time “feeling” the movement. Loading up the body will add compressive forces to stimulate the joint mechanoreceptors (approximation=stabilization), increase the magnitude of the muscle contraction, and apply greater tension to fascial structures. Plus, it can reduce the variables in an exercise. Kettlebell enthusiasts have been coaching people to go heavier with their swings for this exact reason. A heavier weight promotes the proper muscle activation patterns and to removes the option of lifting the bell with their arms. However, it doesn’t just have to be a modulation in weight. It can also be intensity. Using high intensity local exercises to increase the proprioceptive input for a specific area. For example, if someone can’t feel their hamstrings during a single leg deadlift then I will have them perform a prone hamstring physioball squeeze. Then return them to the previous exercise. It’s pretty much just using the post-activation potentiation concept for lower level exercises. Altering the type of resistance can provide a profound sensory change. Going from dumbbells to kettlebells, cable to elastic bands, or kettlebell to barbell provides a significant proprioceptive change. The type of resistance is limited by your imagination (medicine balls, body weight postures, chains, indian clubs, tires, trail running, boulders, significant others, pets, etc.) . Just look at people who exercise outdoors to see an example of this creativity. RNT is a great way to use resistance to correct aberrant movement patterns. You don’t have to set up any targets, educate the patient on the movement correction, or give specific directions. You simply pull the patient into their compensation and watch their system react to this perturbation by over correcting the faulty movement. In RNT the example above, the resistance is pulling the patient lateral over their base of support (trendelenberg moment). To prevent falling over, the patient will have to fire their frontal plane muscles to prevent from falling over. This is obviously useful for patients that don’t have frontal plane stability and have difficulty with contralateral hip drop. The RNT example below is great for patients who try to perform the single leg deadlift with an upright trunk (squatting the hinge). Holding the bands will pull the trunk upright. To counteract this movement, the patient will have to flex their trunk down to counteract the band’s resistance. Proprioceptive changes are an easy way to troubleshoot an aberrant movement pattern. The options are many and the results are profound. But keep in mind that improving movement is rarely a linear process. There are a ton of variables when it comes to movement. And these variables interact with one another to create an infinite amount of movement situations. 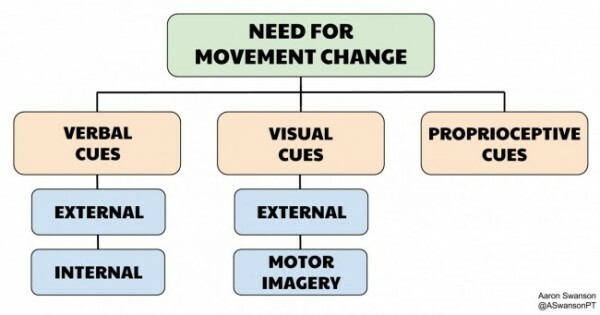 Thus, due to the dynamic systems involved with movement, you cannot perfectly predict the exact movement output that will result from new input, but changing the proprioceptive environment is one variable that often has a positive impact. Assess, cue, re-assess. My understanding of proprioceptive cues, environmental influence, and the nervous system bias of movement was heavily influenced by Gray Cook and SFMA/FMS System. Studying his work opened my mind to a new way of changing movement patterns and provided an important foundation for my continued education.